The ice-breaking Court of Appeal’s decision on Pre-action Protocol Form 1 in Spog Petrochemicals Limited & Anor. v Pan Pennisula Logistics Limited (2017) LPELR – 41853 (CA). When Hon. Justice Inumidun Akande (Rtd), an erstwhile Chief Judge of Lagos State unveiled the extant High Court of Lagos State (Civil procedure) Rules in 2012, a major striking feature was the introduction of the Pre-action Protocol Form 01 as one of the documents that must necessarily accompany a writ of summons or originating summons by virtue of Order 3 rules 2 and 8 which inexplicably omitted originating motions from the processes that must be so accompanied. The arrival of Pre-action Protocol Form 01, which was inspired by the Lord Woolf’s Reforms, unexpectedly drew diverse reactions from legal circles in the mould of reviews, opinions, scholarly articles and ultimately, rulings and judgements emanating predominantly from the Lagos High Court bench until recently when the Court of Appeal sitting in Lagos had its say on the said Form 01 in a case that shall be considered shortly. 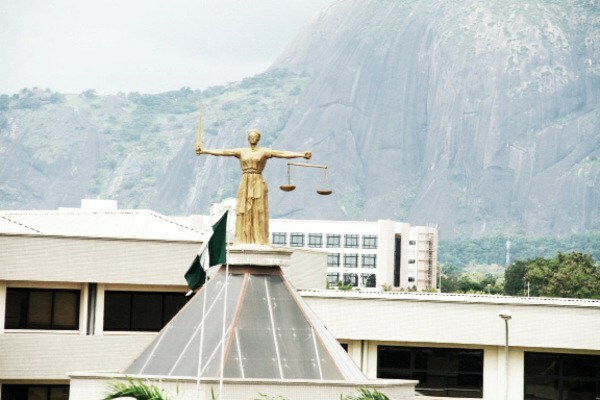 Regrettably, the High Court of Lagos State has been inconsistent in its decisions on the effect of non - compliance with Pre-action protocol Form 01 and issues surrounding it. One would have thought that such a document with noble intents would not have its purport and effect enmeshed in judicial uncertainty. The court had in the following decisions upheld the mandatoriness of compliance:See the ruling of Obadina, J in Suit No: LD/506LM/2015 between Mrs. Olubukunola Osomo v. Gov. of Lagos State & 2 Ors. delivered on February 2, 2016); the ruling of Alogba, J. in Suit No LD/192/2013 between Nitol Textiles Manufacturing Co. Nig. Ltd. v. Coastal Services Nigeria Ltd. delivered on June 19, 2013) and the ruling of Ighile, J. in Suit No. BD/1100LMW/15 between Dr. Lateef Seriki-Abass & Ors. v. Wasiu Seriki-Abass & Ors (delivered on February 8, 2016). This is no doubt, one out of the numerous decisions of the High Court of Lagos state dismissing any objection on pre-action protocol as leaning towards technicalities as opposed to substantial justice. Thankfully, the Court of Appeal sitting in Lagos had been invited by Tunde Adejuyigbe, SAN in the case of Spog Petrochemicals Limited & Anor. v Pan Pennisula Logistics Limited (2017) LPELR – 41853 (CA) to interpret the effect of non-compliance with Pre-action protocol requirements. (a)That the pre-action protocol form 01 which is an affidavit attached to writ of summons filed by the Respondent was deposed to by the Respondent which is not a natural person. (b)That the Respondent failed to set out its claims and an option for settlement in the written memorandum filed along with the pre-action protocol Form 01. The trial court heard the objection but dismissed same on the 18th day of December 2015 which decision culminated in the appeal under consideration. In order to fully appreciate the Court of Appeal’s decision, I will endeavour to quote their lordships extensively while driving home the points made therein, bearing in mind the gravamen of the appeal being an allegation surrounding incompetence of the Pre-action protocol Form 01 which was allegedly signed by a company without stating the name of the natural person that signed on its behalf as well as its failure to be accompanied by a memorandum sent to the Defendant stating the claims. First, the provision of Order 5 rule 1 is impliedly subject to the provision of Order 3 rule 2, hence, it is inferior to the express provisions of Order 3 Rule 2. See Oloruntoba-Oju v. Abdul-Raheem (2009) 13 NWLR (Pt. 1157) 83 S.C.
Second, Order 5 rule 1 is general in its application to the entire provision of Order 3 rules 2 and 8 while Order 3 rule 2 sub-rule 2 is specific on the penalty for non-compliance. Again, it is trite that a general provision cannot override specific provision on an issue. See Kraus Thompson Org. v. N.I.P.S.S (2004) 17 NWLR (Pt. 901) 44. Third, Order 5 rule 1 provides for the effect of non-compliance and the court of Appeal also ruled on the effect of non-compliance, hence it is our opinion that, the court had, by implication, interpreted the intendment of the said provision. Olumide Babalola writes from Lagos.